Any thoughts about finger pointing? As a child, I was told that it is rude to point. It makes people feel uncomfortable. In fact, just today I heard a mother say that to her child in a restaurant. In Dickens's story The Christmas Carol, the Spirit of Christmas Future doesn’t speak, it just points a finger. I love the ominous feel - a bit spooky, but in the end, still transformative for Scrooge. Oddly, it gives me hope for the future. These days, the image of finger-pointing is used in relationships, local communities, national politics, and between nations. It has become an idiom for casting blame for something onto someone else. 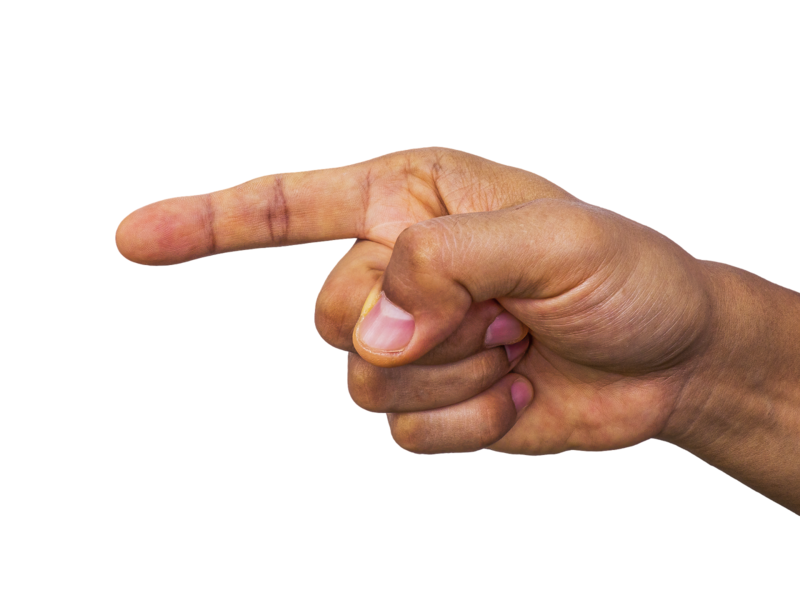 Often finger pointing is used as distraction or deception. But then, what is a person to do when they see an eagle soaring, or a breath-taking vista along the highway, or a beautiful prairie flower in the midst of the tall grass? Finger pointing is the most efficient way to share it with companions. And what of those who are lost??? Sometimes only pointing will get them there. Buddhists caution us not to confuse the finger that points to the moon for the moon itself. (Just sit with that for a moment…) It is true that it easy to miss the point (pun intended). For example, in organizations, it is possible to focus on personalities and miss the organization’s action, or purpose, or goals. Finger pointing shows or reveals something, helps someone see something they might miss, provides a focal point. It may be blame, illusion, awe, or information. There is a lot of finger pointing, seeing, and revealing going on in this week’s Gospel text. But that is what the season of Epiphany itself points toward. John the Baptist is clear that the point is not his finger but rather the Light toward which the finger points…. Or, more accurately, the Lamb toward which it points. This text includes John’s version of Jesus’ baptism (last week was Matthew’s version) which interestingly, never actually says whether Jesus was baptized or not (really – read it again). John says he saw a dove land on Jesus while John was doing his thing at the river. John says that he did not see Jesus standing among the crowd until the dove. You could say the dove pointed out Jesus to John. Note that John was just following his call to baptize when Jesus was revealed. Same thing can happen to you. One more “seeing” word – “witness” is to see something and “witness” is to tell about it - to testify, verify, reveal. The dove revealed Jesus to John; John not only pointed but also testified about what he saw. Same thing can happen to you. The rest of the story tells the response of two of John’s disciples to John’s pointing to and witness about Jesus. They followed. Again, notice that “seeing” is key. Jesus saw them, then Jesus invited them to come and see. At least one of them – Andrew – saw the Messiah. The next day Andrew fetches his brother and points to Jesus as the Messiah. Same thing can happen to you. Did you point that out to anyone? More reflections available on these texts on the post G.I.F.T. 1-15-17.